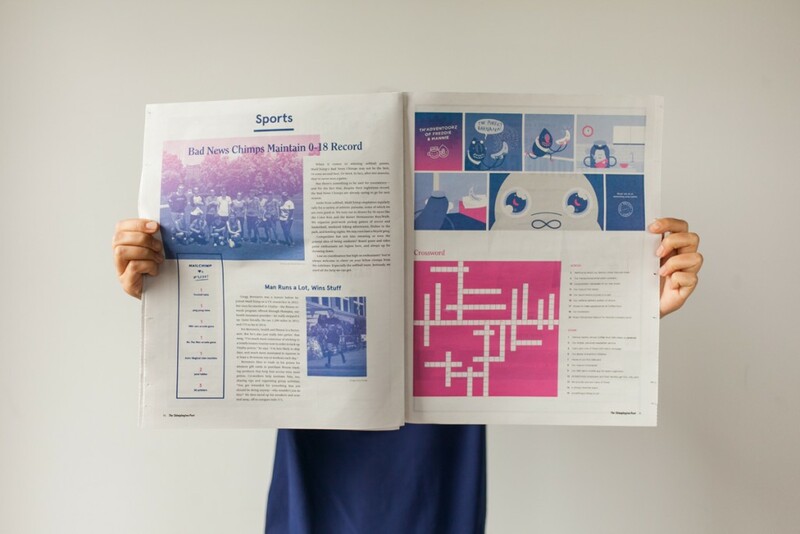 MailChimp sends more than 1 billion emails every day, but when it came to their recruiting materials, they chose newsprint. "At MailChimp, we’re not only incredibly proud of what we do, but we also have a lot of fun doing it," says designer Jane Song. When she was tasked with creating MailChimp’s collateral to hand out at career fairs, Song says "it was important to communicate that to any students who moseyed on over to our booth." "No glossy, uninspired pamphlets would come from us," says Song. "We would create an entire newspaper ‘bout that MailChimp life. And we would make it awesome." 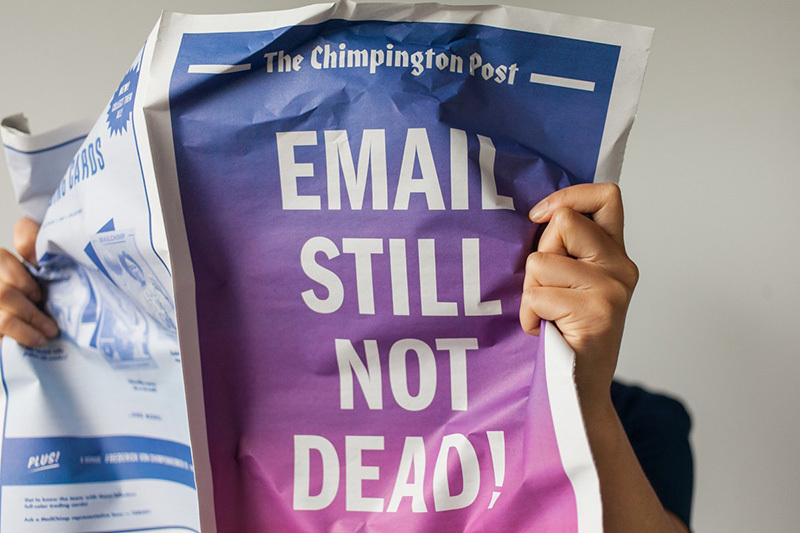 The Chimpington Post is the result – a traditional tabloid newspaper that feels distinctly of the digital age. 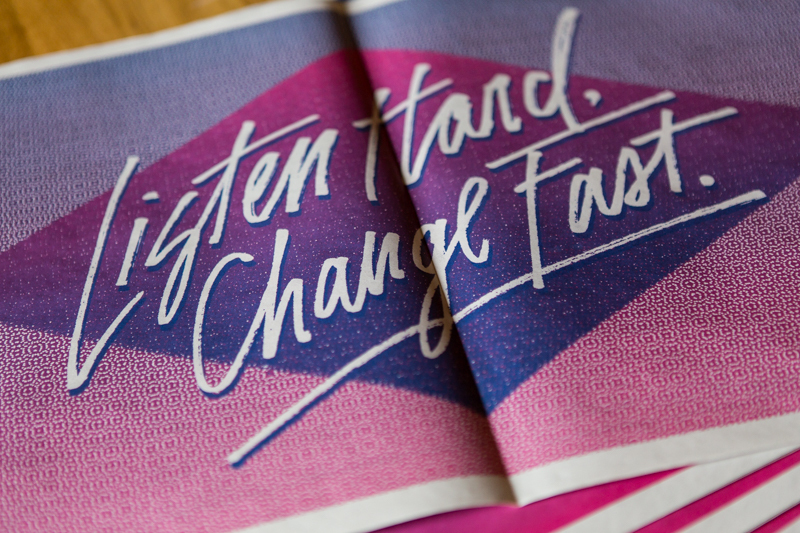 Song writes about the process of putting the newspaper together on MailChimp's Design Lab blog. 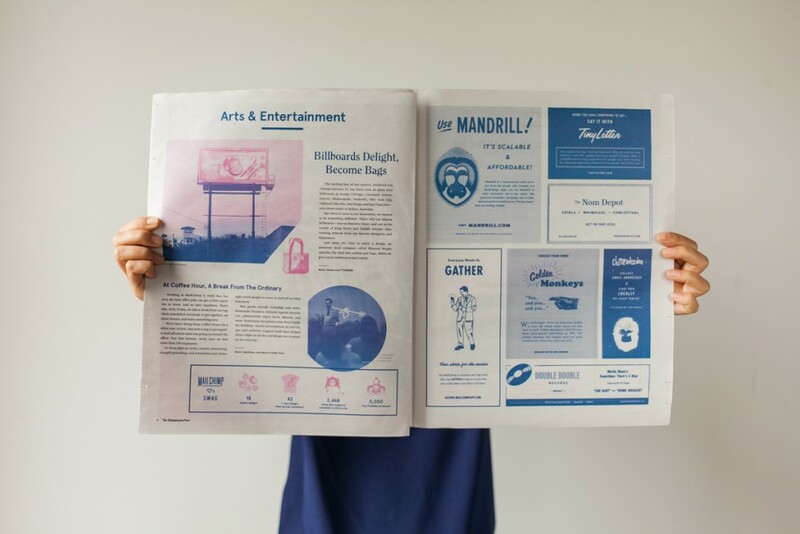 "Once all the stories were in and I’d made the last tweaks to the design, we used Newspaper Club to print 2,000 copies of The Chimpington Post. We scattered some around the office, and it brings me so much joy to see visitors in our waiting area reaching for the paper after they’ve looked at every app on their phones. I’ve even seen some of my coworkers (who, duh, already work here) flipping through the pages, too." "At career fairs, our recruiters talk as much as they can about MailChimp in the few precious minutes they have with students," says Jane. "They leave the rest up to The Chimpington Post, confident that whatever they couldn’t fit into the conversation, we’ve got it covered." You can read Jane's full post over at MailChimp.